It’s been a pretty turbulent and traumatic couple of years for Brian Christinzio. After releasing the brilliant How To Die In The North (a record informed by Christinzio’s adopted home, Manchester), he was told that he was being deported from the UK. A despondent trip back his his native New Jersey and an Italian passport later (by virtue of his grandparents’ heritage), and Christinzio was allowed back in the UK to pursue his music career – he returned just before Brexit and its terrifyingly uncertain repercussions. The fallout of Brexit, and Christinzio’s personal experiences are all over this fraught, anxious, deranged record. Sure, the immaculately melodic songwriting of How To Die In The North is very much in place, but it takes on a new unpredictable, chaotic form. The gloriously cathartic title track ricochets between clattering garage-rock riffs and strident synthesiser parts, before choral vocal arrangement and an unhinged cello part launch the song into the stratosphere. This, like many of the songs on the record, covers an awful lot of ground in a reasonably concise period. The reflective ‘I’m In A Weird Place Now‘ is the kind of stupendously paranoid meditation that I’m sure Josh Tillman would sell his granny to be able to write; it’s a tender, irreverent, and uplifting song fizzing with melody. Deportation Blues is Christinzio’s best record to date – melodically ambitious, lyrically and thematically acute and sonically scintillating. Really, given that such a wonderful set of songs are indebted to such a turbulent set of situations, this is a record to be cherished. 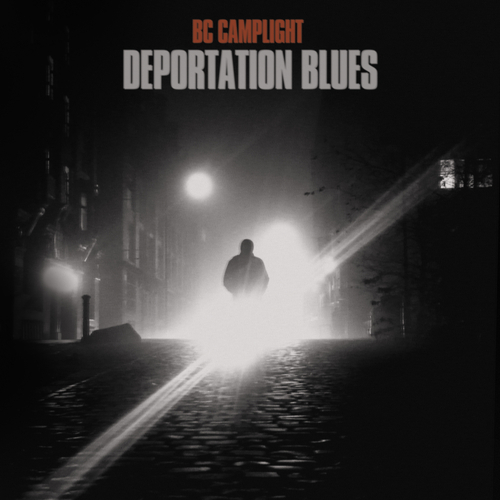 Deportation Blues is released on 24th August through Bella Union.